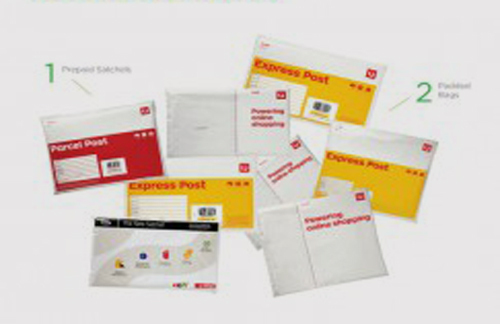 The meteoric rise of online commerce and its profound effect on Australia Post’s fortunes are usually couched in terms around the rapid decline of paper mail and corresponding revenue. But internet shopping and its reliance on single-use waterproof plastic satchels to post millions of parcels have created a new dilemma – how does a thriving parcel business cope with the environmental challenge of keeping packaging out of landfill and on a sustainable footing? The answer, for Australia Post at least, is self-servingly simple: you just put the rubbish back in the mail. It might sound like a joke, but he national mail service this month revealed it has partnered with recycling outfit TerraCycle to allow consumers and businesses to ship spent plastic mail bags, free of charge, to be recycled into plastic park benches, chairs and other industrial items. You then claim and stick a free shipping label to the box and lodge it at the local post office. Australia Post’s Head of Environmental Sustainability, Andrew Sellick, reckons the free program divert tonnes plastic diverted from landfill and upcycled into a more sustainable form. “The Australia Post Mailing Satchel Brigade is a one of a kind national recycling program – as yet, not all councils have the capacity to recycle these items through their respective roadside collection,” Mr Sellick said. Putting a stamp on more complex recyclables also appears to be a growing niche for Australia Post. “Australia Post already partners with TerraCycle on a number of schemes that sees items such as coffee pods and toothbrushes sent through the mailing network to TerraCycle for recycling,” Mr Sellick said. With so-called ‘product stewardship’ initiatives – or where manufacturers willingly reclaim spent goods and packaging from customers – quickly gaining rage among businesses who sell themselves environmental credentials, Post’s struggling mail service could just be onto a modest winner by upcycling what was a once thriving junk mail business.